The following are a series of reflections prompted by our recent Symposium on the Role of Lay Catholic Theologians. They are offered by John Sullivan, Professor of Christian Education at Liverpool Hope University. Here are a few thoughts I had about how I saw the relationship between faith and scholarship in my own case, in the hope they will be of interest. My Catholicism is integral to my scholarship, feeding into (a) its motivation, (b) the sources I turn to, (c) the nourishment I seek, (d) as a principal point of reference, (e) the topics I attend to, (f) and a key audience I want to reach. My Catholicism is informed by my scholarship – philosophical, historical, theological and educational. My scholarship is guided by but not limited to my Catholic faith; it draws on work (and methods) from outside that faith (as well as from within it). My scholarship seeks to serve the world beyond the Church, both the academy and society. There can be a mutually beneficial relationship between the church and the academy. I wrote about this in an article in Journal of Beliefs & Values, published in August 2012 entitled ‘Religious faith in education: enemy or asset?’ (subscription required). The academic disciplines have a derived or relative autonomy from theological/religious authority/concerns, as do their practitioners/exponents. There is a need for balance between the institutional, the intellectual and the spiritual (Friedrich von Hugel and John Henry Newman). There is a need for balance between the multiple organs of the magisterium in the church (parents, pastors, scholars/theologians, bishops, papacy). In recent years there has been a serious (and damaging) dysfunction in the ecclesial community regarding communication between these magisteria and a disconnect between the hierarchy and the sensus fidelium. Last Friday Reuters reported that Pope Francis has formed a commission to tackle Vatican reform. Made up of seven international lay experts and one cleric, the commission will report directly to the pope and advise him on economic affairs, improving transparency and enforcing accounting principles. … Francis ordered all Vatican departments to collaborate with the commission and bypass usual rules that oblige officials to respect the secrecy of their office. So not only has the Pope convened a commission composed almost entirely of lay people, it includes one female member (though it should be noted that it is overwhelming European). It remains to be seen what the commission will be able to accomplish, but this announcement is yet another move suggesting that Francis marks a real departure from previous Vatican administrations. The hopes for a greater role for the laity, expressed at last week’s symposium on the Role of Lay Catholic Theologians, may actually be fulfilled! Last week the Digby Stuart Research Centre for Religion, Society and Human Flourishing was pleased to host a one day symposium on ”The Role of Lay Catholic Theologians’. In the next few weeks, we’ll be posting thoughts inspired by those discussions. To begin, a number of essays and books were mentioned as particularly helpful resources for thinking about the role of lay Catholics and the challenges facing lay Catholic theologians today. The following is an initial list. Please add your own suggestions in the comments below. However, I’m not going to analyze the communicative significance of his gestures, because this is a matter for specialists. Instead, let me share a brief sketch of the man, the Father Jorge, who I met in Buenos Aires for the first time when I was only 24. The man today discovered by the media (also the local ones), but discovered by the people of God for a long time ago. Monsignor Jorge M. Bergoglio was appointed Bishop of Flores district in Buenos Aires, in May 1992. He usually visited a prayer group of men, encouraged by the diocesan priest Father Telmo Juan de Laurenti, of whom Monsignor Bergoglio was a friend and disciple. 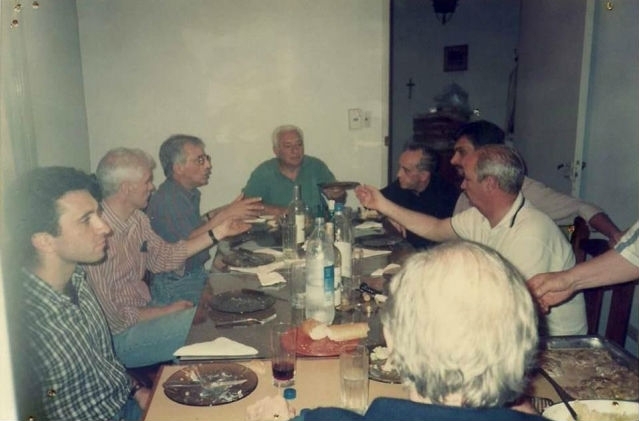 That prayer group, which continues today (and in which I have the privilege of participating) was founded in the distant year of 1973 by Father Telmo Juan de Laurenti. The group began meeting in a humble house that had been acquired by the Archdiocese in 1972, where masses were held in a room of 3m x 3m. That house soon became – through the initiative of Father Telmo Juan de Laurenti – the Pure Heart of Mary Parish. “Father Juan”, as he was known in the neighborhood of Villa Pueyrredón, was an exemplary priest, always having words of comfort and assistance to the many needy. 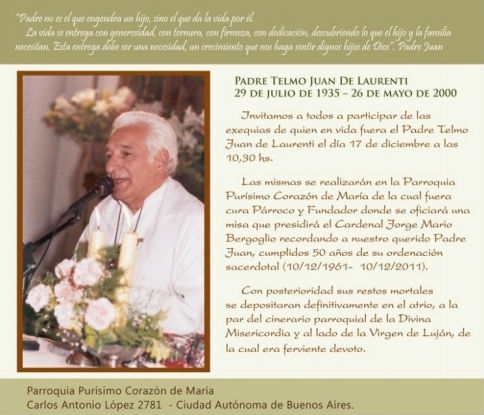 Father Juan went to his Father’s house with Holiness at 64 years old, on May 26th, year 2000. There was a night when the group visited Monsignor Bergoglio. At 11 pm, Bergoglio invited everybody to withdraw to their homes, which we all thought seemed logical after a hard day’s activity. To everyone’s surprise Monsignor Bergoglio apologized and explained that he must go to the “Plaza de Flores” (Flores Square) to confess “the girls” who worked there. Upon the death of Cardinal Antonio Quarracino, Monsignor Bergoglio succeeded him in the post of Archbishop of Buenos Aires on 1 March 1998. 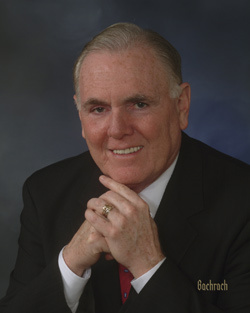 At the same time, Father Juan was encouraging a civil association dedicated to children at risk, which he founded under the name “Jesus Amigo”. That year they inaugurated a convivial home for girls. Called the “Mother of Hope”, it was on the outskirts of the city of Buenos Aires, in a lower middle class neighborhood near a highway. 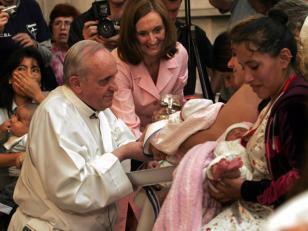 Monsignor Bergoglio was invited to celebrate mass during the opening of the home. 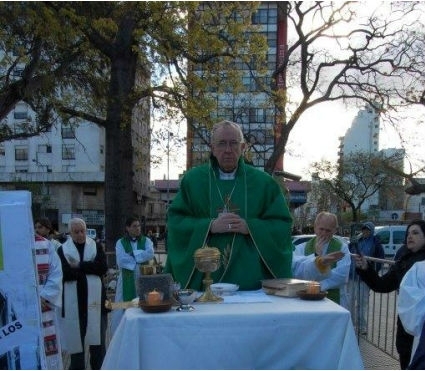 No one knew for sure if Bergoglio in his new commitments to the Church of Buenos Aires would attend. 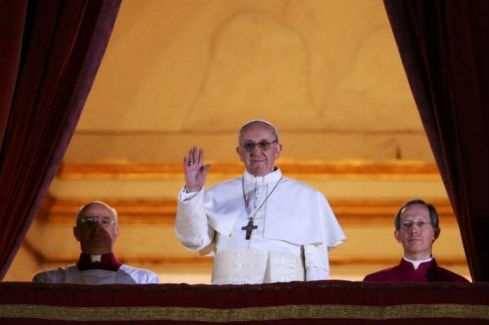 Bergoglio pledged his presence and asked to preside mass in the same street where the home was. On two sawhorses and a plank of wood, an improvised altar was erected on the side of the street. The whole neighborhood attended mass. The Archbishop of Buenos Aires, in his homily, said that “the Church should go and meet people, and not expect people to come to meet the Church”. From the beauty of all these liturgical things, which is not so much about trappings and fine fabrics than about the glory of our God resplendent in his people, alive and strengthened, we turn to a consideration of activity, action (Homily for Chrism Mass 2013, Pope Francis). Eleven years after his death, and according to his last wish, the remains of “Father Juan” were finally deposited in the churchyard of his beloved Parish, the “Pure Heart of Mary”. 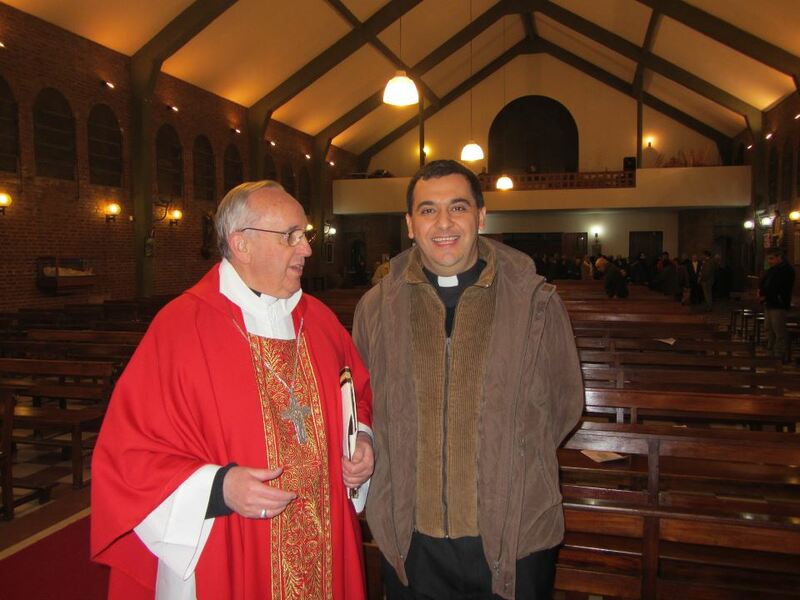 A mass was celebrated by then Cardinal Jorge M. Bergoglio, on 17 December 2011. This mass coincided with the birthday of the Cardinal himself and the 50th anniversary of the priestly ordination of “Father Juan”. Near the end of mass, Cardinal Bergoglio removed his stole and to the surprise of all present, laid it on the urn containing the remains of the “Father Juan”. He said that the stole, which was from his Cardinal’s ordination and blessed by John Paul II, should belong, from now on, to “his friend Juan”. We all knew by press reports that in 2005, Bergoglio had the chance to become Pope and had waived that honor. The Cardinal had stripped off one of his last attribute of temporary “power”. People who attended the mass could not hold back the tears. A man, who was beside me, could only say: “This man belongs is from another planet”. “How are you Pablo?”, he asked. “Send my regards to the prayer group, please!”, he replied. “Thanks guys, please pray for me.” He gave us his blessing and a kiss on the cheek. We descended into the station and we walked to the Cathedral, where we said goodbye. The day Cardinal Jorge M. Bergoglio was elected Bishop of Rome, I could not stop crying. Many began to describe stories perhaps even more poignant than mine. That’s because Bergoglio lived among people, not among sextons. He is one like you and me. So, that night of his election, we all got together to celebrate that Pope Francis was now the Father of all humanity! Finally, I remembered that when Francis appeared at the balcony, my wife with typical intuition and sensitivity said to me “in his smile it looks God has transfigured him.” I replied, “I’m sure many have returned today to be Catholics…”, then she answered “Pope Benedict XVI was right when he stated that this was the Year of Faith”. 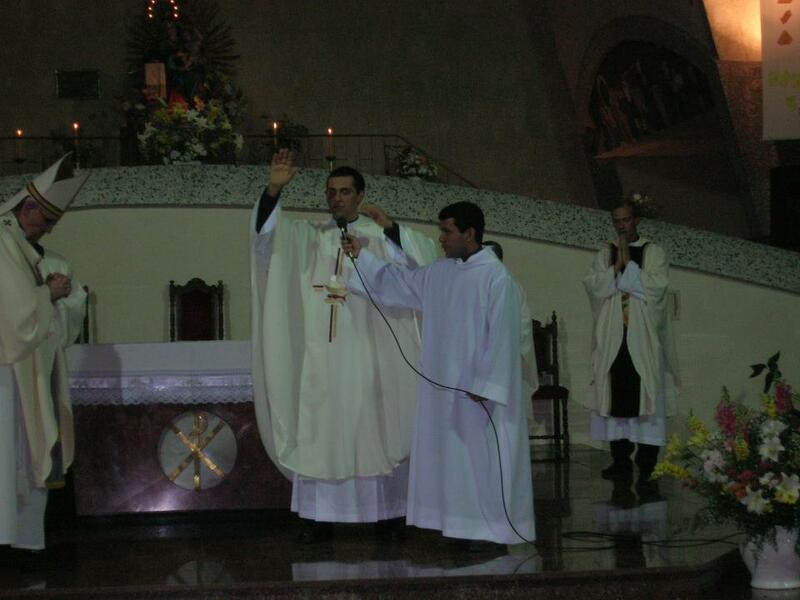 We are happy to offer the following memories and reflections from Father Facundo Mela, FDP. Father Facundo has worked with the poor and disabled in Argentina and the Philippines. On 13th March, I received a text message informing me that white smoke was coming from the Sistine Chapel. I immediately ran in front of our television to learn who would be the new Pope. When, Cardinal Jean Lous Tauran solemnly announced the new Pope’s name, I could not understand him; my Latin is not so good. Then, helped by the television headlines I knew that Cardinal Bergoglio was Pope Francis. At that very moment, I was overwhelmed with emotion and happiness, thousands of remembrances came to my mind: my priestly ordination, his lifestyle and his shepherd’s heart. Some months later, I called the archbishop’s office for my ordination and instead of talking to his secretary, the operator connected me with him and we schedule my ordination. Before the mass, we had a very meaningful meeting at the parish house. He met my father and my superiors, talking to us like friends, like a simple priest. Until now, his words resound in my heart: “As the author of the letter to the Hebrews describes Christ: compassionate and faithful, you have to be so, be a compassionate and faithful priest”. He looked at me and repeats these two words: compassionate and faithful which have helped and come with me during my ministry, especially in doubtful and dark moments. Many people were amazed, when the newly Pope Francis asked people to pray upon him, he bowed down to the people of God for their prayer, a new and unprecedented gesture; a bishop asking the prayer of his people. But it was not the first time he did it, he always does it. At the end of my ordination, he requested my blessing. Can you imagine a newly ordained priest blessing the Cardinal? At that moment, I got very nervous and had trouble remembering the blessing form. After his election the world’s eyes have looked at him and his style: simple, approachable, smiling, without pomp, close to the poor. Last week, a lot of friends around the world shared with me their surprise and amazement: he is amazing, his homilies are simple and deep, he speaks like a shepherd, etc, etc. His words, style and simplicity are making many people approach to the Church and feel that She is their home again. His shepherd’s heart pushes him to go to the people, to spend Christmas and Easter in prisons, hospitals and squatter areas. 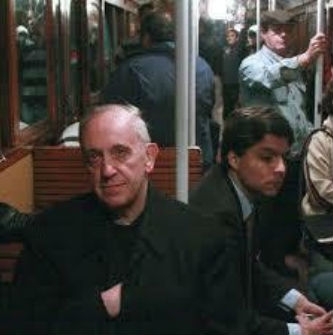 As he said to the Argentinean bishop’s conference some years ago: “We have to be shepherds who smell sheep, we have to be with our flock, we have to have its smell, because we are near, close to them…” This was his homily and his lifestyle. These days, newspapers and TV broadcasts over the world have been speaking about him and his simple and poor style, which made them remain speechless, but here is my question, why are we amazed that a bishop wants to ride a bus or goes to squatters? What happened to us? Have we become used to excessive ways? Have we become used golden crosses instead of simple ones? Have we been focused on liturgical garment and not on the gospel? Sometimes, we, Christians put our attention on anti-evangelical things: forgetting the poor, wasting food, fighting for stupid things, thinking about irrelevant issues, living as the godless, scandalizing the world, etc. But, God forgives us and gives a gift: a new shepherd. So, I firmly believe that Pope Francis’ example is a God’s invitation to return to simplicity of life, to go out to the people, to be close to the poor and the outcast, to avoid luxury and waste, to put Christ at the centre of our lives again. So, let’s thank God for our Pope, let’s pray for him and accept his invitation “to walk, to build, to witness, always with the cross of Christ”. The New Yorker has devoted a good bit of attention to the Pope’s resignation. Alexander Stille compares the papacies of Pope Benedict and Pope John Paul II, while Amy Davidson discusses the way they each handled age and fragility. John Cassidy weighs in with harsh criticisms of Pope Benedict, but in the name of an underlying affirmation for the work of the Catholic Church in local communities. If you prefer audio, all three writers can be heard discussing their perspectives on the New Yorker Out Loud’s website. A former US correspondent for The Tablet, Rocco Palmo, offers extensive coverage of the process of selecting the next pope on his blog Whispers in the Loggia. He will soon be heading to the Vatican to report from the scene as events undold. The National Catholic Reporter is running a series called ‘Papabile of the Day’ presenting the basic biography and a brief analysis of the most locally candidates. Here’s one on Cardinal Leonardo Sandri. Feel free to add other coverage of the events in the comments.